Home » » Commuters Stranded as BRT Drivers Embark On Strike, Disappear From Roads. Commuters Stranded as BRT Drivers Embark On Strike, Disappear From Roads. 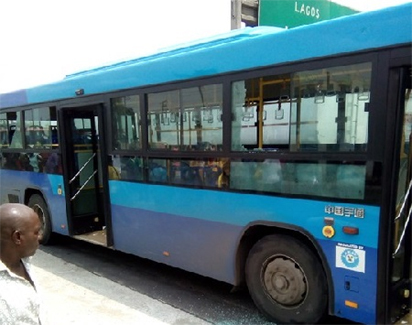 According to Vanguard, commuters were, yesterday, stranded at various Bus Rapid Transport, BRT, bus stops and terminals across Lagos, following an industrial action by the bus drivers, operated by Primero Ltd. The drivers were protesting, among others, unpaid salaries and allowances, delayed payment of benefits, reversal of their terms and conditions of service. At about 9am, some of the drivers were seen at Majidun loading station, chanting solidarity songs to press home their demands while the buses were off the road. Some of the drivers, who spoke on condition of anonymity, claimed that their basic salaries had been slashed to N40,000 without reasons, non-payment of July and September salaries, and breach of agreement by management. According to them, for the past four months, the management had slashed their salaries from N60,000 to N45, 000 and effort to get them to revert it proved abortive, lamenting that performance bonus of N20,000 and other benefits were no longer forthcoming. Efforts to speak with Primero Managing Director, Fola Tinubu, or the company’s image maker, Mosunmola Agbaje, were unsuccessful at press time. But a senior staff who spoke on condition anonymity, appealed to the protesters to exercise patience. However, the action was suspended at 4 pm.